Working with Video Gamers and Games in Therapy moves beyond stereotypes about video game addiction and violence to consider the role that games play in psychological experiences and mental health. Chapters examine the factors that compel individual gamers to select and identify with particular games and characters, as well as the different play styles, genres, and archetypes common in video games. 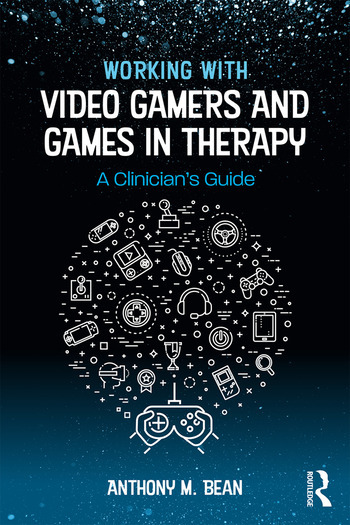 For clinicians looking to understand their clients’ relationships with video games or to use games as a therapeutic resource in their own practice, this is a thoughtful, comprehensive, and timely resource. Anthony M. Bean, PhD, is a licensed psychologist and executive director at The Telos Project, a nonprofit mental health clinic in Fort Worth, Texas, and an adjunct professor at Framingham State University in Massachusetts. He specializes in the therapeutic implications of video games and gaming, working with children and adolescents, and the use of video-game character identification as a therapeutic technique.